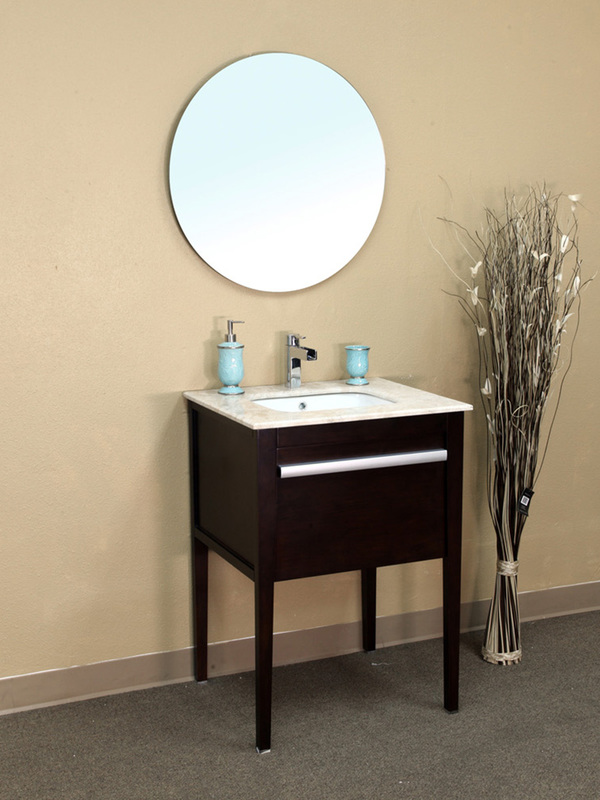 The Volos Single Vanity has terrific modern style with its clean lines, dark finish and simple design. 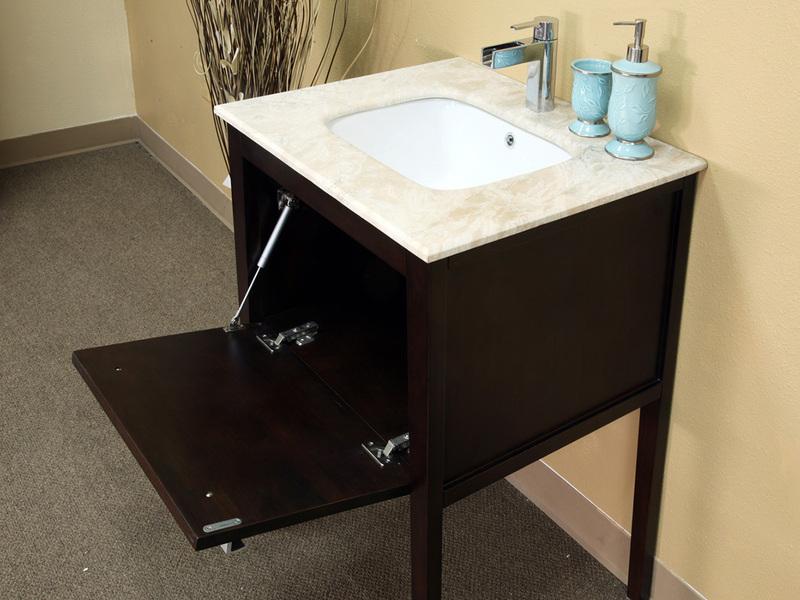 The drop down cabinet door requires less room to open than a tradition cabinet door, making this small vanity an even bigger space saver. 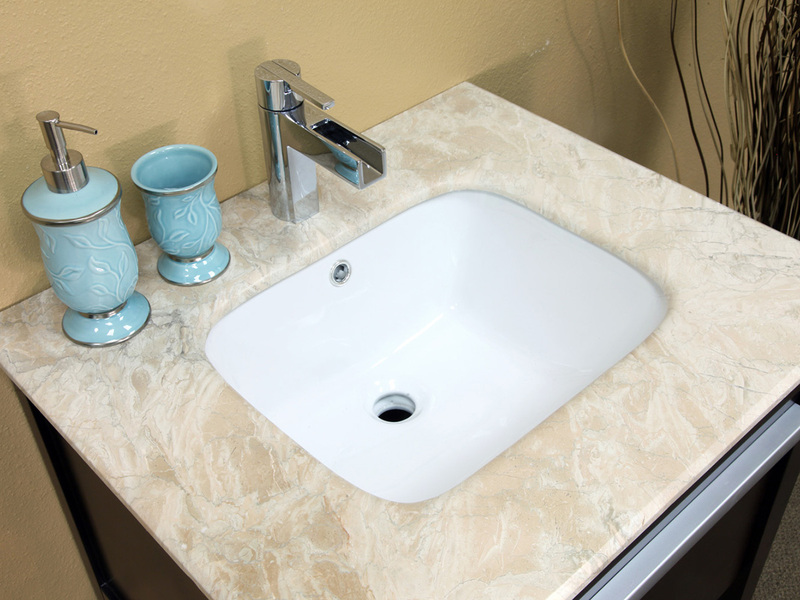 The counter top is made from a beautiful cream marble, which contrasts nicely with the dark mahogany finish. 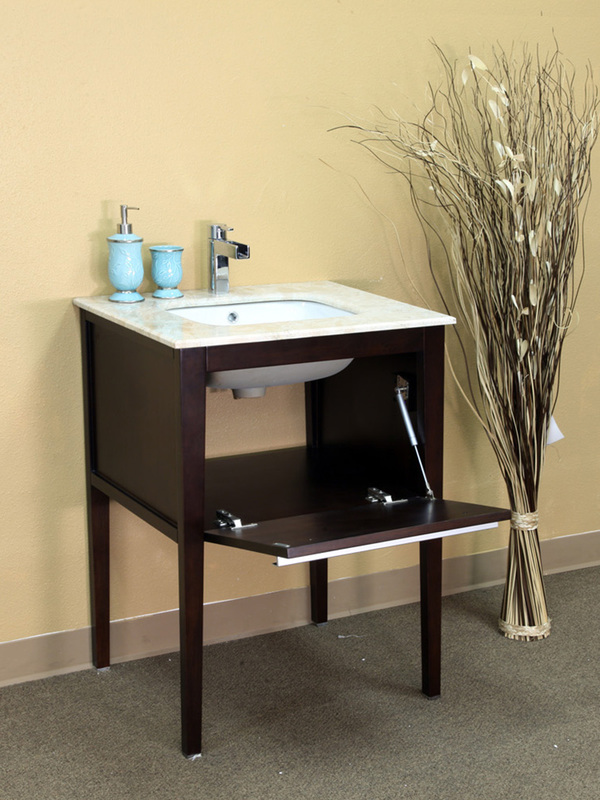 Even with its modern design, this vanity has a lot of warmth to it. 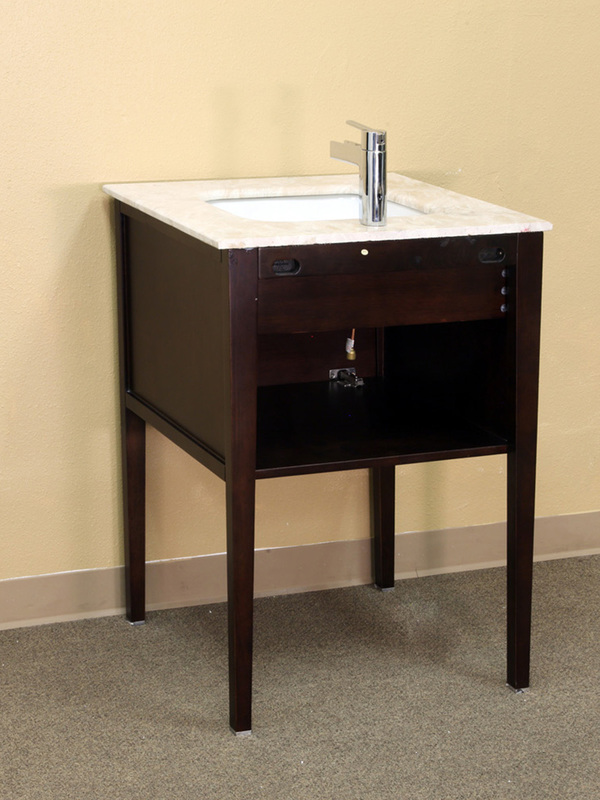 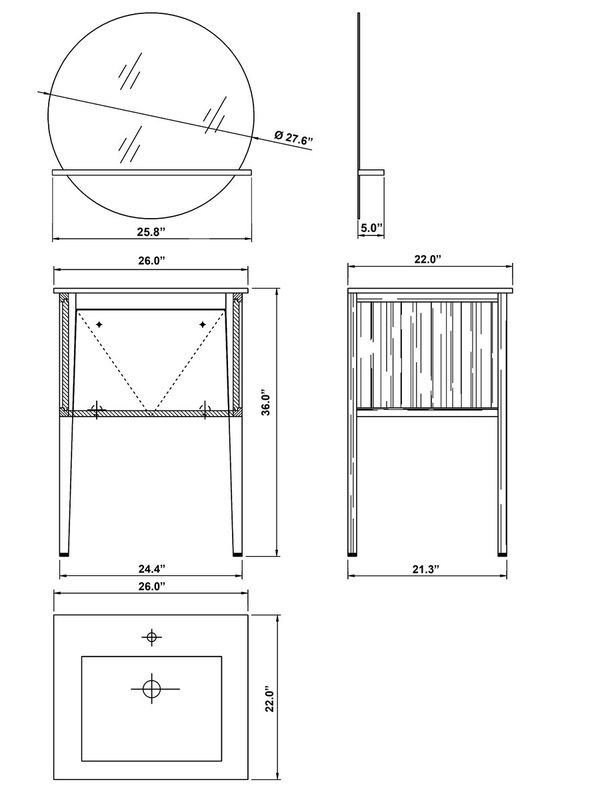 The cabinet is constructed from solid birch, which is also protected by a water proof finish against humidity. 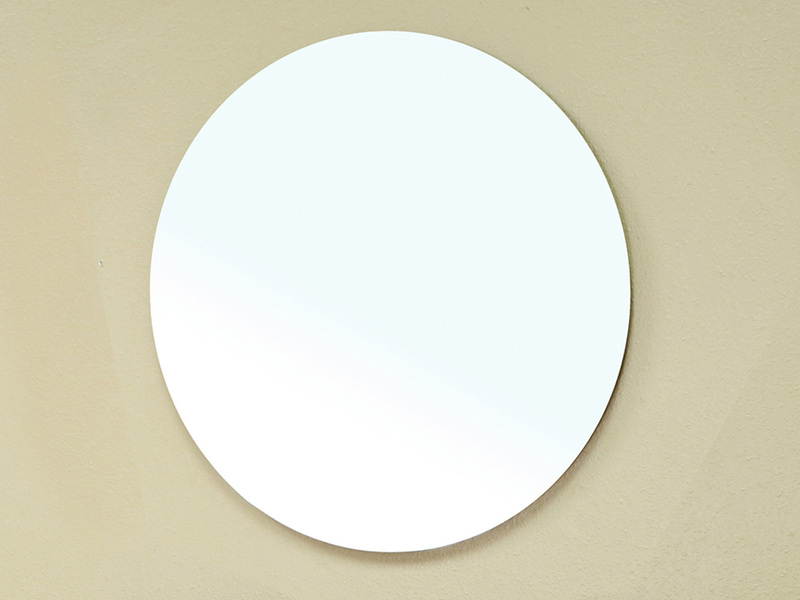 A mirror is also available with this vanity through the drop down menu.